CarboFab Carbon Fiber woven fabrics are made of carbon fiber, which is interweaved by a certain rule on the loom. According to the weaving methods, it can be classified into plain fabrics, twill fabrics, satin weave fabrics and unidirection fabrics . 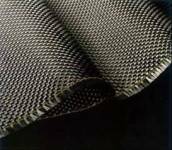 Carbon fiber woven fabrics are widely used in high performance composites such as aircraft parts, auto parts and wind turbine blades, and semi-finished carbon fiber prepreg.